Go to next page for English ver. កាតឥណទាន នឹង កាតឥណ្ណពន្ធ មួយណាល្អជាង ? 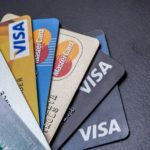 Credit vs Debit cards which is better?